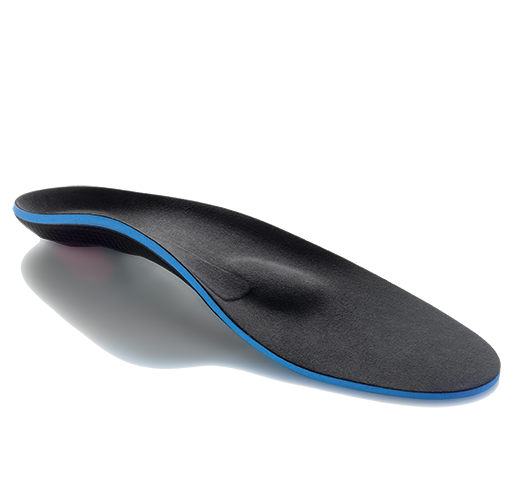 Provides complete flexion/extension range of motion control. Cool TROM foam design provides comfort in hot weather environments. Hinge design supports the recovery following a variety of knee procedures. The Donjoy Cool TROM Short Post-Op Knee Brace provides the same easy to use protected range-of-motion and locking capabilities as the full foam TROM knee surgery braces, but is more ideal for warmer climates. The ease of use and versatility of the Cool TROM Short makes it one of the most popular products for shorter height patients used for recovery after surgery. 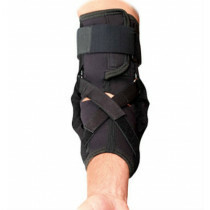 It supports a variety of protocols used following major ligament surgery, meniscal repairs, patella realignment, regenerative chondroplasty, and stable fractures. The TROM (Total Range of Motion) hinge is an easy-to-use hinge that can adjust the range of motion setting with the click of a button. The Donjoy Cool TROM Short Post-Op Knee Brace can lock instantly from 0 to 90 degrees in 10 degree increments for drop-lock requirements, and offers a variety of flexion and extension capabilities for personalized rehabilitation protocols. 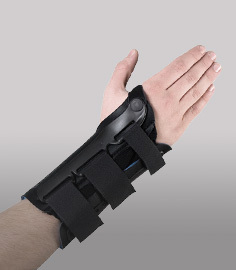 Best of all, the brace is a one size fits all design and fits individuals 5'7" and shorter. Innovative, easy-to-use hinge - extension stops at 0,10, 20, 30 degrees and flexion stops at 30, 40, 70, 90 degrees and open. Quick-lock mechanism from 0 to 90 degrees. Fits patients 5' 7" and shorter. Buckles allow for fast and easy strapping in seconds. Breathable design is Ideal for warmer climates. One size fits all; fits right and left sides. Universal Size - One size fits 5'2"-5'7"
Aircraft aluminum hinge bars . Standard open cell foam padding material. My insurance coverage did not provide for a post-op brace so my doctor had me get this Telescoping Cool Trom knee brace for my recovery. My orthopedist set all of the limits- all I had to do was bring it into surgery at the right length. The bars extend to make it whatever length is needed. It was very easy to set up by myself using the directions.  Donjoy believes that the best way for you to select and purchase a Donjoy product is at one of its authorized online stores of which DME-Direct is one. Only in these stores can you be sure to find the latest Donjoy collection and ensure you are getting a genuine Donjoy product with the manufacturer's full warranty. Donjoy therefore recommends that you do not purchase a Donjoy item through any website, unless it is an authorized Donjoy dealer. We are a Donjoy Authorized Dealer and can assure you a safe and pleasant shopping experience here at our website as if you were at our wholesale distribution premises in Valencia, California. Some non-authorized sites sell counterfeit, second-hand merchandise, and/or products containing old fabrics, glues, and resins that do not perform as intended, and are therefore, not eligible for care under the Donjoy warranty. Others do not offer the original Donjoy warranty, nor do they offer any after-sales service of any kind. Donjoy takes great care to ensure that all Donjoy authorized dealers offer you the very best products and service. Please take advantage of the peace of mind that only they can offer to Donjoy purchasers.